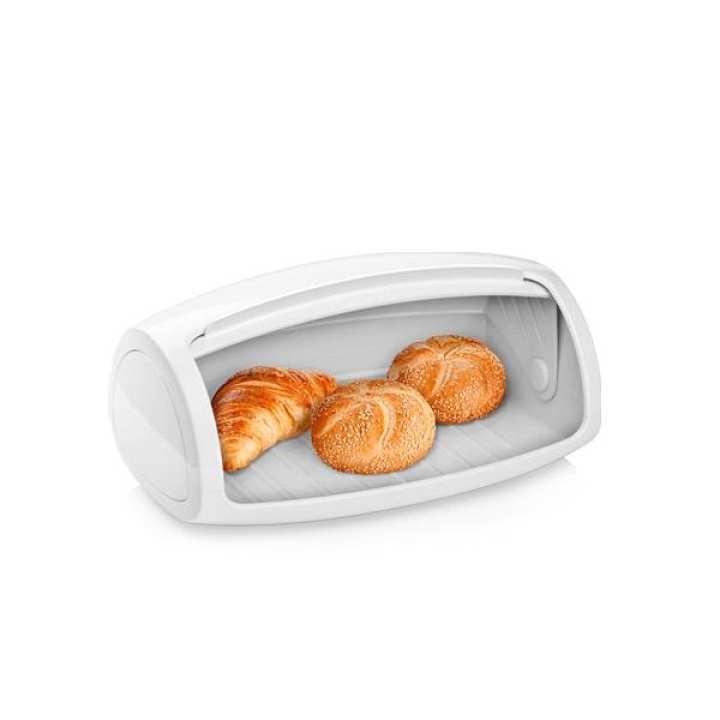 Store bread in this perfect 4Foods bread box, by Tescoma. This bread box seals perfectly and keeps bread fresh for a long time. Its base is lined, keeps bread away from unwanted moisture. Itâ€™s made of a sturdy, resistant plastic. Itâ€™s cylindrical in shape. Its dimensions are 32 x 16 x 24 cm.